Be the first to share your favorite memory, photo or story of Betha. This memorial page is dedicated for family, friends and future generations to celebrate the life of their loved one. Betha Mae (Fane) Davis born Feb 27th, 1934 of Freeport, Illinois went home to be with the Lord on February 6, 2019 at Freeport Memorial Hospital surrounded by her family. She was born to George Fane and Clara Jones Fane in Tippo, Mississippi one of twelve children. She attended school in Tippo. On December 17th, 1950 she married James Davis and to this union was born twelve children, sons; Charles (Lena) Davis, Willie (Sandy) Davis, daughters; Willeana (Mark) White, Minnie (Otha) Brooks, Jannie Ellis, Clara Davis, Gloria (Dwayne) Farrar, Margaret (Vince) McClellan, Anise Davis, Dorothy (Charles) Turner, Denise (Ezekiel) White all of Freeport Illinois and Martha Davis of Rockford Illinois. In 1974, Betha Mae moved the family to Freeport, Illinois. 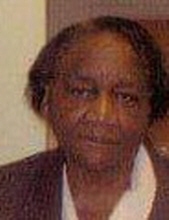 Betha Mae was a faithful member of Friendship Missionary Baptist Church, where she served on the mother/usher board, choir and kitchen committee. She loved her church family and was always ready to serve. She also loved her family, cooking, gardening and her bingo tickets. What will be truly missed by all is the love she showed to all who met her. She always had words of wisdom and encouragement to keep you going. When she cooked all came to enjoy her caramel cakes, dressing, mac & cheese and souse. You never had to question what was for dinner because she always had something for everyone who came through her door. Her kindness and her willingness to share made her a community matriarch. Though she has left this earthly place, all the love that she shared and showed is still here. She leaves to cherish all her memory; eleven children, twenty-seven grandchildren, one sister Susie (James) Dogan, (special niece) Pearl Brown, (special nephew) Elton Simmons and a host great grandchild, great- great grandchildren, nieces, nephews and cousins. She is preceded in death by her parents, husband, son Charles (Lena) Davis, five sisters and six brothers. Funeral will be held Saturday February 16th, 2019 at 11:00 a.m. Visitation is at 9:00 a.m. to the time of service at Friendship Missionary Baptist Church, Freeport Illinois, Rev. Rickey Stidman officiating. Burial will be in Freeport City Cemetery. To send flowers or a remembrance gift to the family of Betha Mae Davis, please visit our Tribute Store. "Email Address" would like to share the life celebration of Betha Mae Davis. Click on the "link" to go to share a favorite memory or leave a condolence message for the family.